With a few notable exceptions such as Cambridge, cycling in UK cities is minimal compared to continental European examples, and boosting cycling is a massive opportunity for improving travel sustainability and health in Britain. The potential is greatest in London, with its high density mixed-use form, relatively flat topography and benign climate that favour cycling; in addition to congested and expensive car and public transport networks that leave many looking for alternatives. So can this trend be accelerated to make London a real cycling metropolis, a larger scale version of Copenhagen or Amsterdam? I believe it’s possible, but I discuss one of the biggest obstacles here- safety and space. (Other obstacles include terrible integration with public transport, bike theft, image…). On the 4th October a student from Korea was crushed to death by an HGV vehicle near Kings Cross, becoming the 13th fatality in London this year. Overall cycling fatalities and injuries declined in the early 2000’s, in line with pedestrian and car accidents in general, but have increased in recent years as cycling trips have increased. There were 467 serious injuries in 2010, up 8% on the previous year. Cycling in London is a hectic experience of dodging traffic and aggressive driving, with very minimal segregated lanes and many dangerous junctions to avoid. Currently a high profile debate is occurring over one such accident blackspot, Blackfriars Bridge, where two cycling fatalities have occurred in recent years. 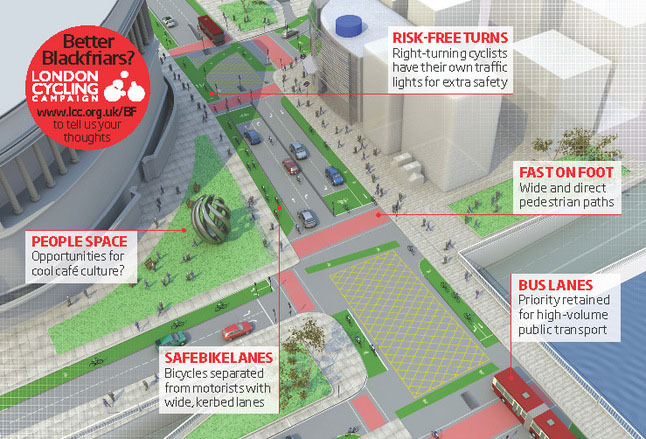 The London Cycling Campaign argues that the TfL junction redesign fails to address cycle safety, and staged a mass demonstration on the 12th October of 2,500 cyclists, and are promoting an alternative junction design. Additional campaigns include the issue of HGV’s, which are responsible for half of all cycle fatalities. 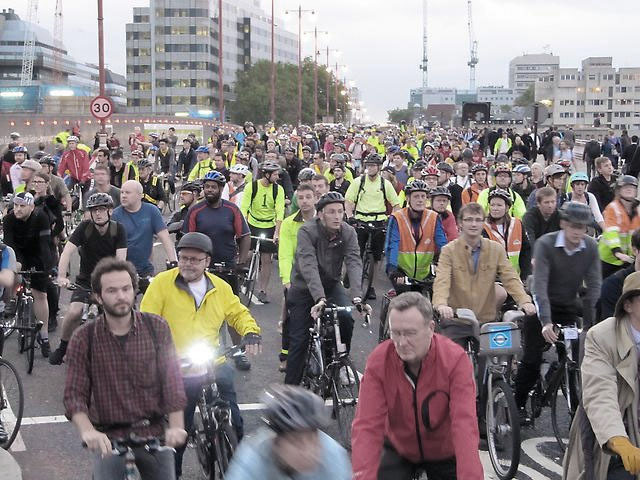 Ultimately a serious increase in cycling use requires a serious improvement in safety, and this means the creation of many more segregated cycling routes and the redesign of many key junctions. 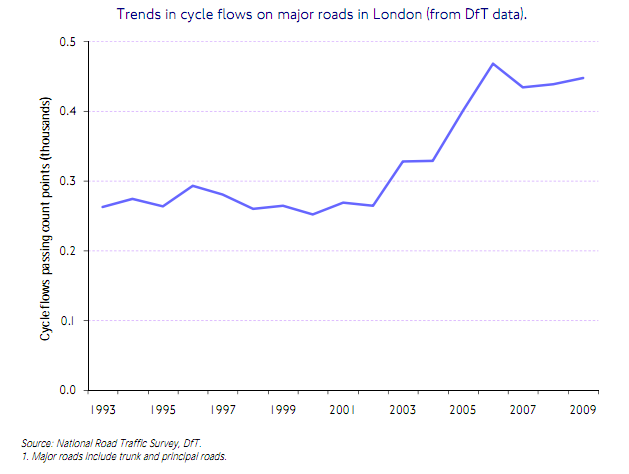 These measures will translate into reductions in vehicle flow in London, and TfL seem largely unwilling to make this compromise when it comes to major roads. A significant culture change accepting cycling as a key part of London’s transport would have to occur to achieve a genuine cycling city.